The project "Modeling of novel quantum cascade lasers and related devices for terahertz, infrared and communications applications" aims at developing efficient and reliable simulation tools for quantum cascade structures, and employing them to novel designs. In contrast to conventional optoelectronic devices, the transitions occur here between quantized energy levels within the conduction or valence band, which can be tailored to the specific application. 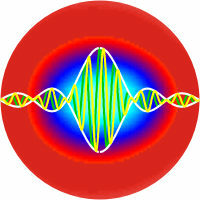 The unique features of those structures can be exploited for a wide range of optoelectronic applications. In this context, simulations are necessary to analyze and optimize experimental designs and to devise innovative devices. Our main focus is on quantum cascade lasers for terahertz generation and for future applications in optical communications, as well as innovative devices in the infrared region. We concentrate on the theoretical investigation of the carrier transport and the optical dynamics in such structures. To analyze the carrier transport in the structures, we use a self-consistent Monte Carlo method. 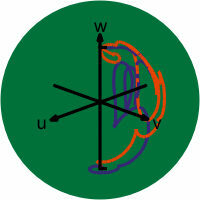 For describing the complex optical dynamics, an approach has been developed based on extended Maxwell-Bloch equations. Also the coupled simulation of the carrier transport and the optical cavity field is envisaged. Further research interests include the modeling of nonlinear optical phenomena in the context of laser dynamics and ultrafast optics in general. Monte Carlo simulation techniques allow for the detailed modeling of the carrier transport in innovative quantum cascade structures. In close collaboration with Professor Lugli, the existing Monte Carlo simulation tool is continuously refined, and a new numerical code is developed for simulating specific innovative structures. In collaboration with experimental groups, we employ the simulation tools to investigate novel experimental devices, e.g. quantum cascade lasers for the efficient generation of terahertz radiation. A further research topic is the theoretical investigation of coherent light-matter interaction in quantum cascade lasers (QCLs) and in the context of ultrafast optics in general. For describing the complex optical dynamics in mode-locked QCLs, an approach has been developed based on extended Maxwell-Bloch equations in an ongoing collaboration with Prof. Kärtner at MIT and the Capasso group (Harvard University). Further research interests include general issues concerning the nonlinear dynamics in laser resonators, for example similariton lasers or the spatio-temporal description of Kerr-lens mode-locking. Collaborations involve Prof. F. Ömer Ilday, Bilkent University, Ankara, and Prof. Franz X. Kärtner at MIT. 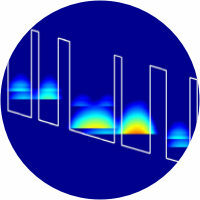 Within the framework of a project financed by the DFG, we also theoretically investigate the dynamics of Fourier domain mode-locked lasers, developed in Robert Huber's group at Ludwig-Maximilians-Universität München.